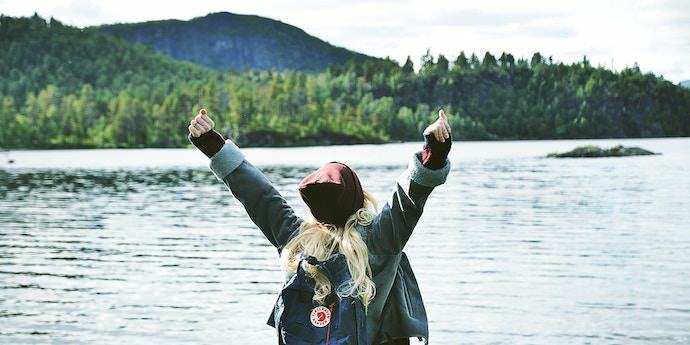 When was the last time you let yourself wander while traveling? When was the last time you allowed yourself to explore freely while on the road? When was the last time you lived—even if just for a moment—without thinking of your destination, agenda, or expectations? Western society has led us to believe that success and happiness is a result of constant, goal-driven action. At school, at work, and in our leisure time, we rush from task to task with the hope of someday finding an elusive sense of life satisfaction. We avoid taking breaks or detours lest we risk becoming lazy, directionless failures. There is nothing wrong with having goals nor working hard; discipline and focus are both admirable traits. But when you turn your life into a series of to-do lists, you lose both your autonomy and your appreciation for the present moment. This tendency towards over-planning and micromanagement negatively affects many people’s travels. Some create complex itineraries, within which every moment of every day is pre-arranged months in advance for maximum experience-collecting efficiency. 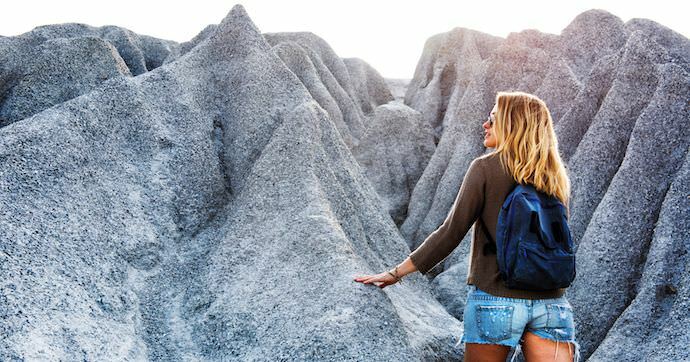 Other travelers tell themselves that they are going to relax, only to eventually succumb to the temptation to hurry from one ‘must-see’ attraction to the next. Unfortunately, I’ve had experience with both these problems. When I was a kid, my family planned everything out well in advance. Nothing, not even bathroom breaks, were left out of our detailed itineraries. As you might expect, I was not a fan of this system. Obviously I wasn't enjoying myself on this trip. 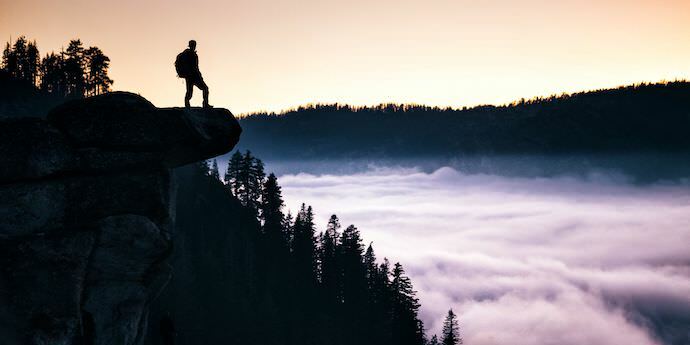 So when I begin traveling on my own, I purposefully avoided created anything more than a rudimentary list of potential points of interest under the assumption that this would leave me completely free to live in the moment. But old habits die hard, and I inevitably began rushing around, trying in vain to see and do everything I conceivably could. 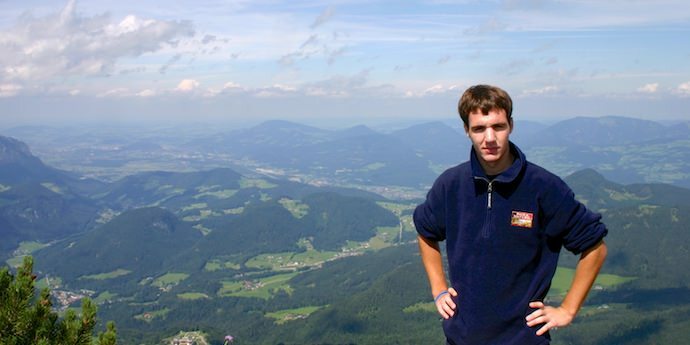 In both cases, there was little room for adventure, inspiration, or spontaneity. Instead of exploring the unknown, I had limited myself to the boundaries set by my guidebooks and my preconceived nations. I saw and felt only a small portion of the world. The solution isn’t to avoid goals or planning—at least not at first. Rather, it is to introduce pockets of mental and physical freedom. To give yourself a day, an afternoon, or even just an hour where you can explore without a clear objective or route. Simply put, the solution is to wander. While the act of wandering—to move without direction or goal—may be simple, it is not necessarily easy to execute. Wandering requires conscious effort and clear discipline for it goes against so much of what we do in our day-to-day lives. The hurried traveler is not a good wanderer. Not only does being in a rush limit the time you have to wander but it makes cultivating the proper mindset more difficult. 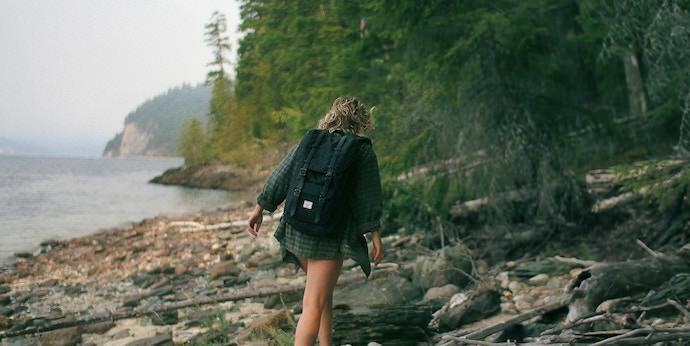 Instead, give yourself the necessary time to wander. Elect to spend a week in one city rather than in three. Block off an afternoon or even a day just for yourself, where you can explore a people and a place comfortably. 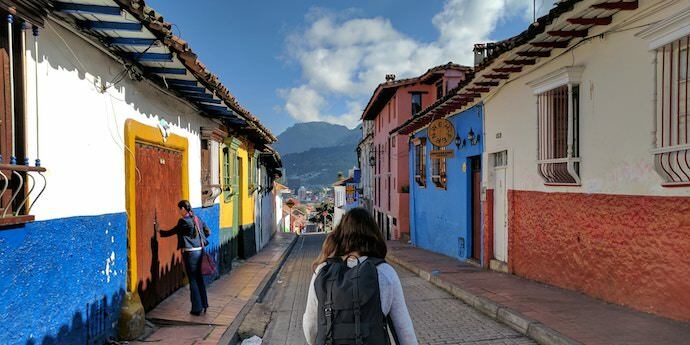 Don't miss out on exploring an interesting neighborhood like this because you were only in in Bogotá, Columbia for an afternoon. If I’m staying in a city a while, I prefer to do my wandering at the end, after I’ve seen a number of things and have a decent understanding of the layout. I like to revisit spots I loved and see areas I haven’t yet explored. For some travelers, the idea of exploring an unknown place without having the specifics mapped out in advance can be distressing. They may worry about getting lost, being taken advantage of, or accidentally ending up in a dangerous area. Regardless of whether or not these concerns are warranted, they can be serious enough to prevent some people from wandering. 1.) Bring a map with when you wander. Mark the location of where you’re staying, or better yet, mark a nearby landmark so you don’t give away your exact address. If you’re lodging at a hotel or hostel, grab a business card from the lobby as backup just in case you need the exact address. 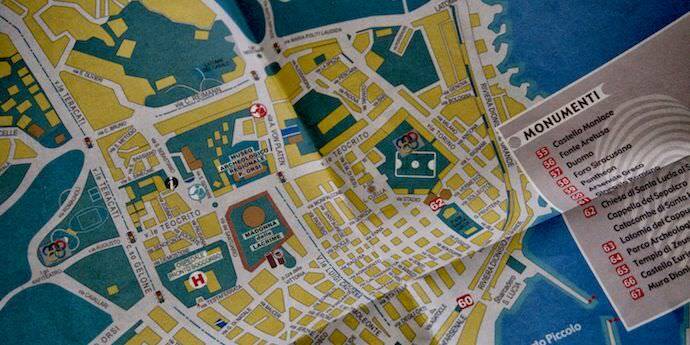 This map of Siracusa came in handy when I was visiting Sicily. 2.) Figure out if there are any neighborhoods or areas you should avoid. Most good guidebooks will include this information, but you can also ask a few locals for their advice. Female locals—whether waiters, baristas, or concierges—are usually reliable judges of an area’s safety as they themselves have to deal with many of the same threats that travelers do. 3.) Memorize or write down a few key direction-related phrases in the local language. Knowing how to ask ‘Where is X?’ or being able to differentiate between left and right can make getting home much easier if you’re lost. 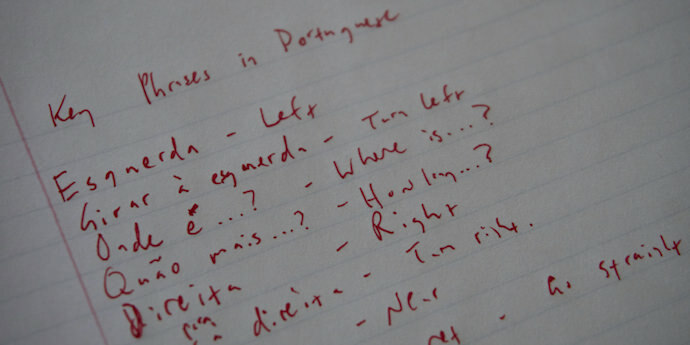 A list of phrases like these would be useful when wandering in Rio de Janeiro. 4.) Pay attention to your intuition. If you get a feeling while wandering that something is not right—even if you can’t rationalize why—don’t ignore it. This is different from our normal anxieties or fears, which are based on what may occur in the future rather than what is occurring now. Our subconscious minds are constantly analyzing our environments, making sure that everything is OK. When there is the potential for real danger, it alerts us with a sense of unease. Response accordingly—you’ll be much safer. Dreaming about the people you will meet and the places you will go in the weeks and months leading up to a trip is generally an enjoyable and harmless part of travel. However, this is not always the case. It is important to eliminate expectations prior to wandering. If you anticipate achieving something—whether finding adventure or a new state of mind—you unintentionally restrict yourself to the confines of your imagination. Don't restrict your travels by the limits of your imagination. Wandering is about opening yourself to all possible outcomes, not just those you have read or dreamed about. This is why I’ve avoided describing any of my wandering—I don’t want to contribute to your expectations. If I told you the specifics of an exciting experience I had in Beirut, you’d subconsciously go looking to recreate it, ignoring other possibilities along the way. Trying to eliminate expectations for your wandering can present a unique challenge, especially at first. After all, it’s hardwired into us. Our species has thrived in large part due to our expert ability to anticipate and plan. 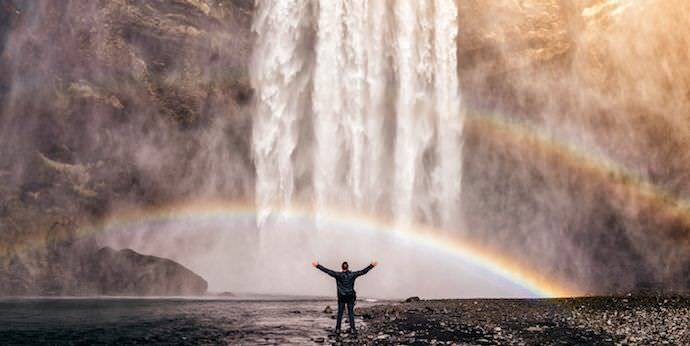 The most effective way to eliminate expectations is to ground yourself in the present—to think neither about past experiences nor future outcomes. When you embrace the current moment, the fog of expectations lifts and you clearly see your present opportunities. You notice the unique smells, inviting smiles, and unassuming alleyways that so often lead to moments of sheer adventure or bliss. I still remember the first time I truly lived within the moment while traveling. I was in Rome’s Borghese Gallery, walking through the museum’s impressive sculpture collection. Suddenly, for some unknown reason, I felt the need to pay absolute and total attention to the next work of art I saw—in this case, Giovanni Bernini’s Apollo and Daphne. 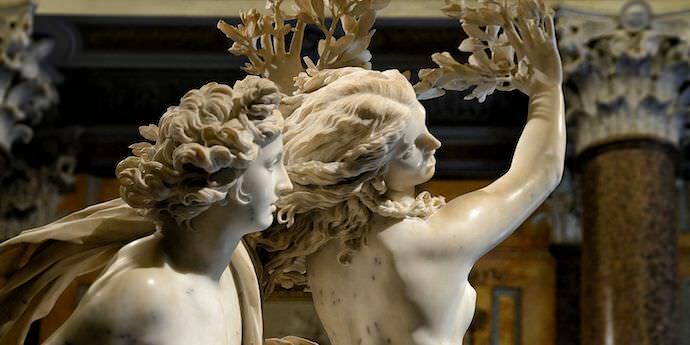 Bernini's Apollo and Daphne in the Borghese Gallery, Rome. CC by SA-4.0--photo by Alvesgaspar. As I gazed up at the sculpture, everything else in the room went out of focus. The marble came alive, with a horrific chase scene playing out in front of me. My body began to tingle and I—for perhaps the first time—felt like I understood the power of art. 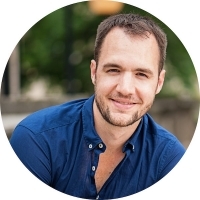 It's easy for us to bring bad habits like over-planning and micromanagement with when we travel. But as you've seen, wandering is a simple and effective way to escape these routines while on the road. 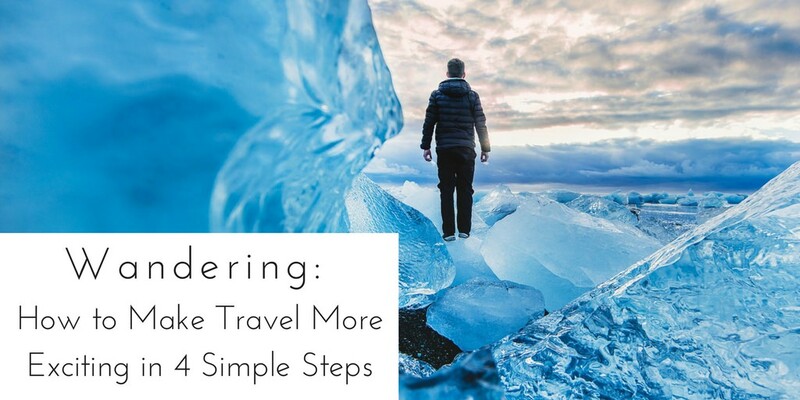 By following 4 simple steps on how to wander, anyone can transform their next journey into an exciting and mindful experience. All you have to do is take the first step. 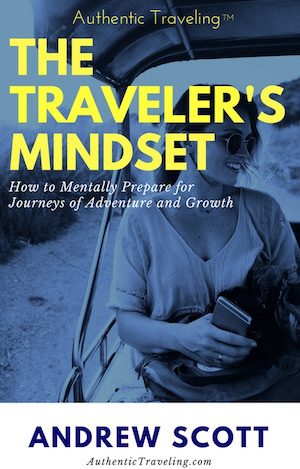 Speaking of first steps, if you're interested in starting your path towards better travel, download my FREE pre-trip boot camp The Traveler’s Mindset: How to Mentally Prepare for Journeys of Adventure and Growth!